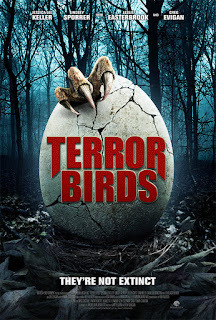 “$100 of beak and claws and the mangiest fur you’ve ever laid your eyes on…” someone says early on in TERROR BIRDS though a more accurate description of the film might be “a fiver’s worth of juvenile CGI and the blandest cast you’ve seen in a straight-to-Asda movie this week”. 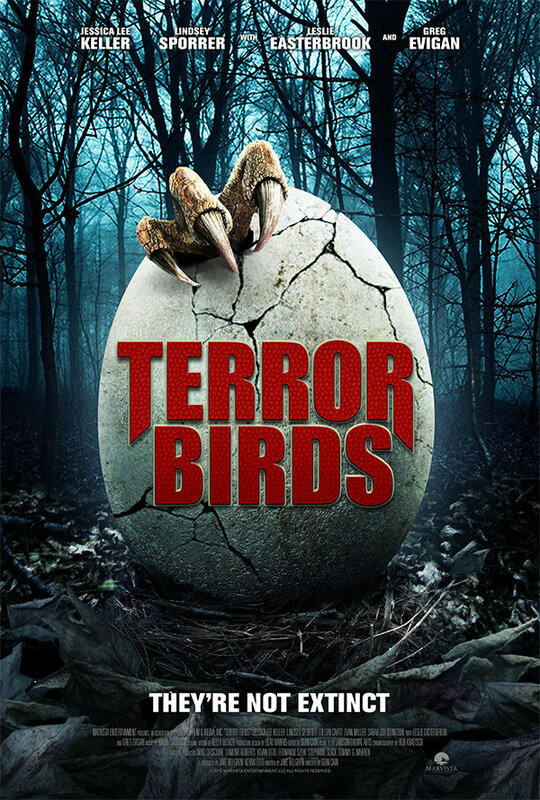 In search of a fabled Mexican eagle, a devoted birdwatcher wanders into a large aviary and gets horribly killed by a vast gang of two (count ‘em) prehistoric birds unwisely revived from extinction. His daughter and her college friends go searching for him, and their drab personal stories are occasionally paused to allow the ridiculous monsters (and a random CG croc) some feeble rampaging time. There’s no one to sympathise with – least of all a dumb, annoying blonde bimbo accurately referred to as a “slutosaurus” and, although some of the lines raise a smile (“You tried feeding us to your giant parakeets!”) but there’s more fun to be had rewatching old chat show clips of Rod Hull and Emu attack Michael Parkinson.